They're loud, and sometimes kinda crazy, but we love them. Hubby wanted to make sure we were surrounded by lots of family on the big day. He was right. 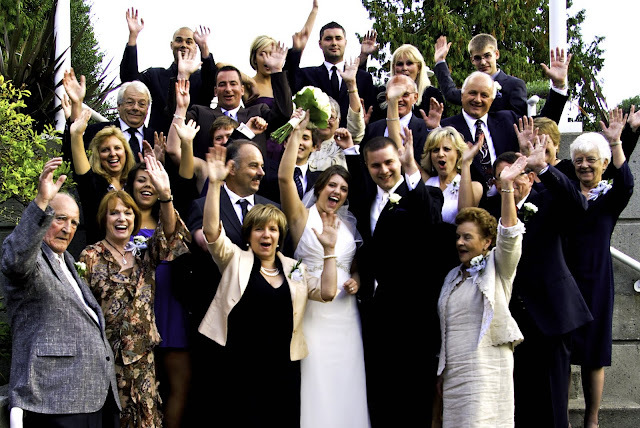 Isn't that a major part of weddings; being surrounded by the ones you love, and those that you more than anything? I love that we were able to share such a wonderful day with all these awesome people. I love our family. I love that his family is now my family. I love that, no matter what, we'll always have family.